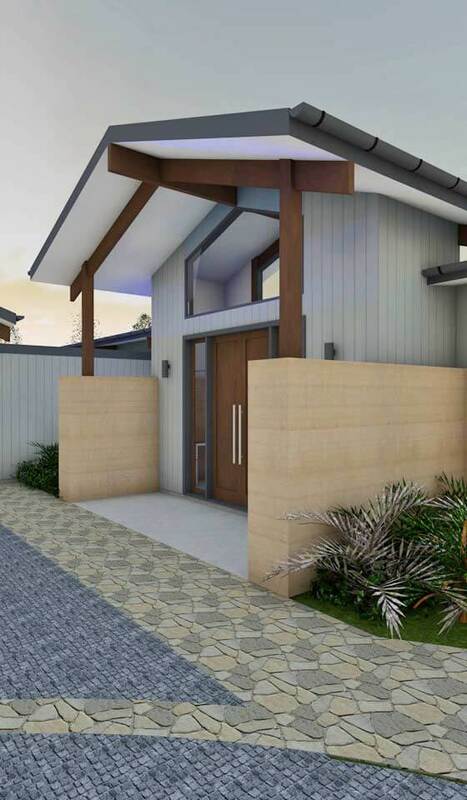 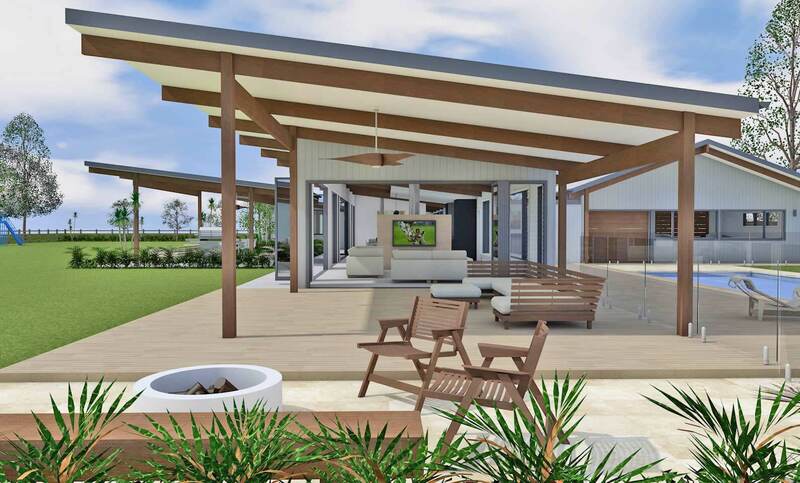 This new home will sit on a premium north facing site with ample space for entertaining in grand style. 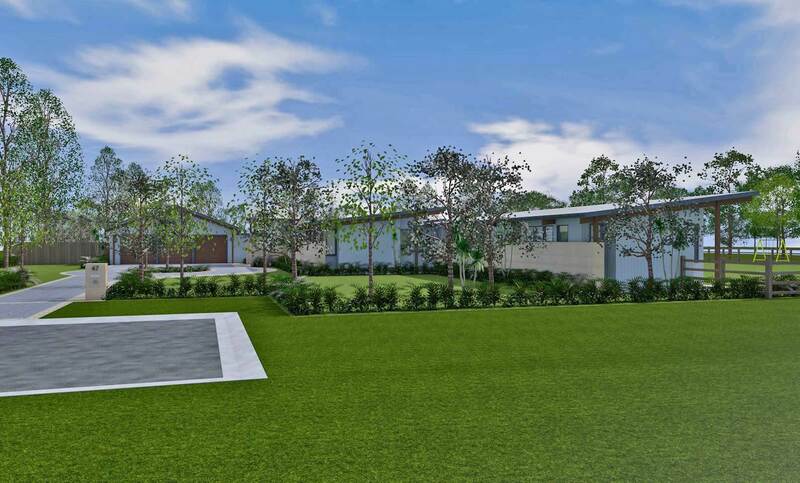 The brief involved designing a new pavilion style single story holiday home in the Hunter Valley. 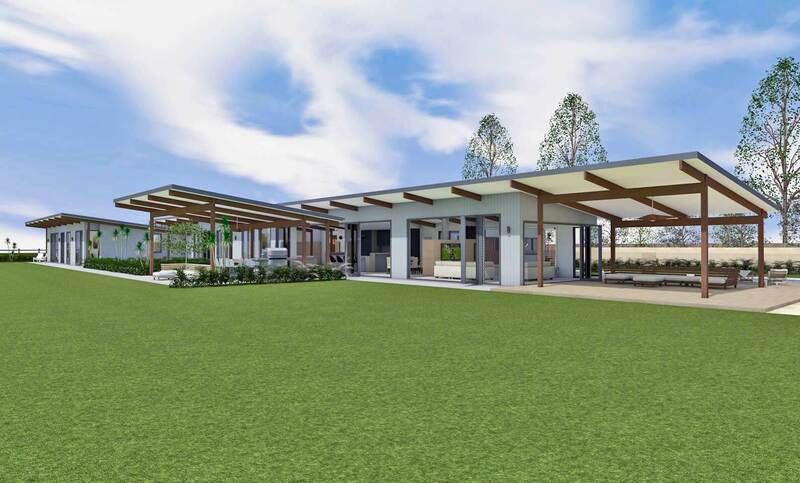 The clients called for the use of rammed earth and polished concrete, taking advantage of natural light as well as passive solar design. 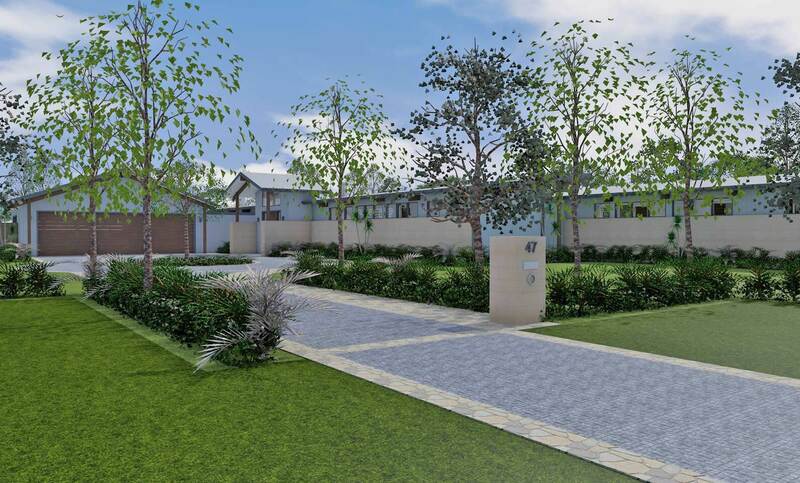 The house needed 4 bedrooms, 2 bathrooms, space for 2 cars and a golf buggy, as well as a 15m pool and alfresco entertaining space. 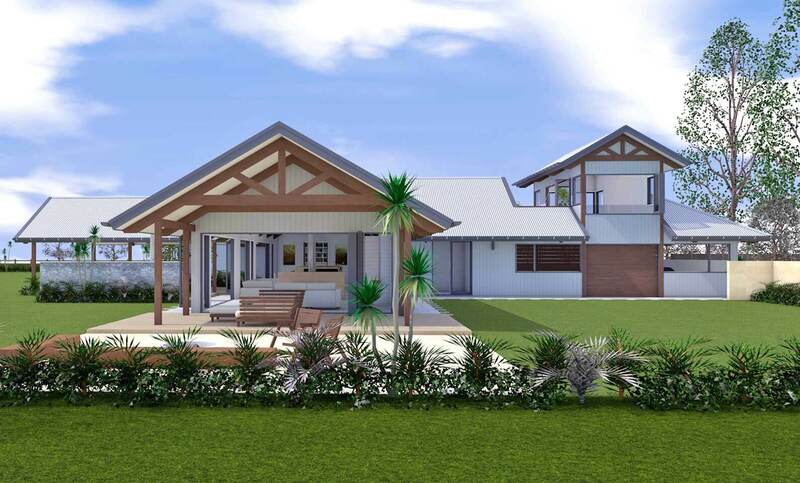 The completed design is a long pavilion style home turning away from the street and southern neighbours making the most of outlooks to the north. 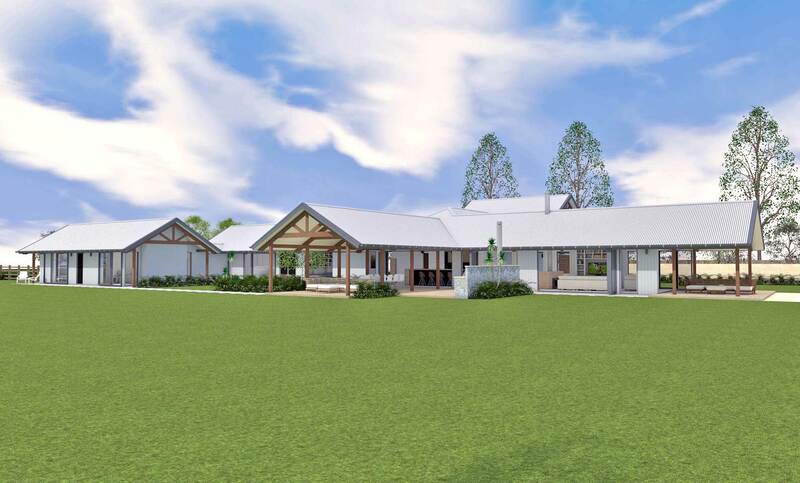 With a grand entrance that shows off the feature rammed earth along the front of the house while setting the entrance back from the street, the design uses a skillion roof with large eaves to protect the expansive glass framing the views. 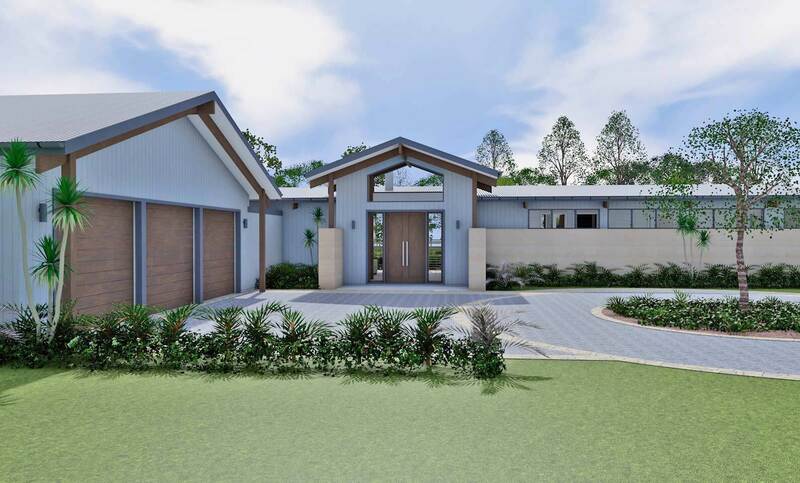 A secondary wing of the house allows the master bedroom to be set away, creating a quite space for the home owners to retreat to when the house is busy with family and friends.